Weddings are simultaneously the best and worst day of someone’s life. I know it is pretty fantastic when you’ve got brilliant entertainment similar to Asher Laub. The day is supposed to be about two people joining in a union together, but most of the time there are fires that need to be put out before the wedding can be enjoyed; Aunt Jan didn’t get her gluten-free salad entree, the florist brought peonies instead of carnations, and at least 84 people will arrive to the reception without having RSVP’d. SIGH. 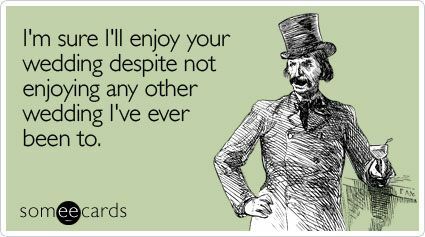 There are also those of us who simply hate going to weddings. We’re single, don’t want to dress up, or can’t find anyone cool to dance to YMCA with after the dollar dance. It can be a point of contention for anyone who isn’t into the hoopla and drama surrounding the stressful event! 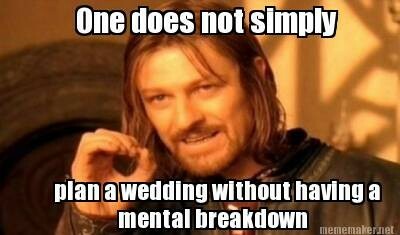 We found some wedding memes for those of us who can’t stand weddings or are planning a wedding and feeling OVER IT! 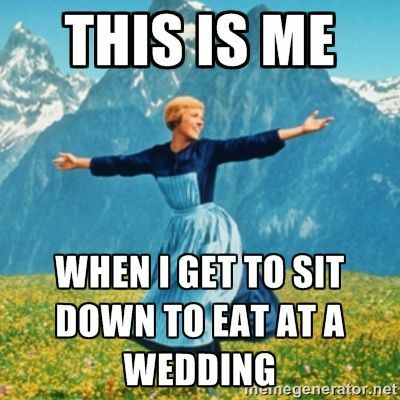 Honestly, the best part of a wedding is when you get to EAT, amiright? Yes of course you’re excited to see your friend’s cousin’s daughter get hitched, but let’s be real: that orange-glazed salmon with red potatoes you selected 3 months ago as your reception meal is CALLING YOUR NAME. Kids are cute and fun, but they can also clear a room with the perfect screaming pitch. These needy creatures have no place at weddings, unless the wedding is held inside of a bounce house. Arguably the worst part about having a wedding is the PLANNING! Everyone wants to get their opinion heard about how you should do EVERYTHING, but no one chips in any money or actual help other than being a human-sized gnat bothering you about how many tiers you have on your cake. 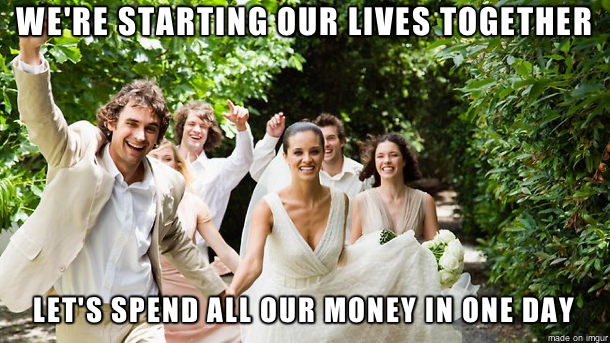 The truth is, weddings are stressful because they’re EXPENSIVE! Things like wedding dresses, venues are rings can be ridiculously pricey – although you can save expenses on rings by having a look at some unique wedding bands here, which are both affordable and high quality. The wedding industry is out for blood, and you’ve already resigned yourself to the fact that you will need to pull funds out of your 401K to make this thing happen. 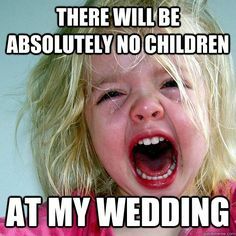 Then there are the people who simply have nothing but disdain for weddings. They’re long, they’re loud, and they’re inconvenient! There are probably people who avoid having friends just so they won’t have to attend their wedding, and can you blame them? Just send the new couple a gift card to White Castle and call it a day. Monkey Pickles is a fun social media humor community centered on everyday nonsense. 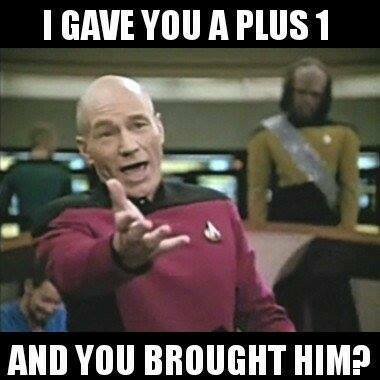 We base our humor in our community, reactions and comments. We enjoy building a community of friends not just followers. If you haven't laughed yet today, something is wrong! Ever Ride A Donkey Ninja?